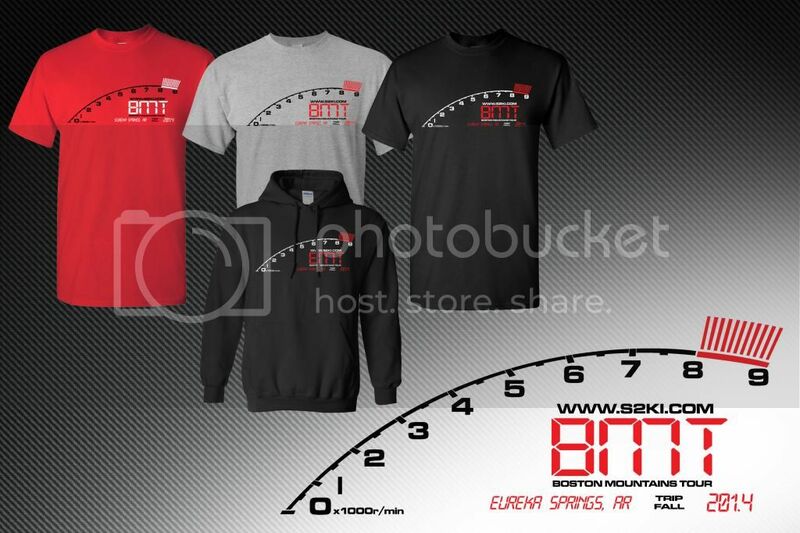 Here is the design for the BMT this fall. Decided to change it up a bit this year and get you guys some colors other than black. The LAST day that I can take orders will be TUESDAY the 21ST. I'm shipping the shirts up there as opposed to trying to fit them in my trunk. There will be no extras printed!!! Can't wait to be up in Eureka this year to see all of your firmiliar faces again. I will be up there Thursday night and Friday, so if you'd like to meet up before the actual event and get your shirt this can be arranged. Pay me when you see me, no pre-paying. I can accept cash, check or cards. If you order and can't make the drive, I will ship you the shirts with a $5 flat rate shipping charge. If you can't go and decide you don't want your shirt, let me know as well...the extras always sell. one each color in the 2XL tee shirt. one 2XL hoodie please thanks. Gray tee shirt M pls. Thx. I want one grey and one red in Xl for both. Thank you. the new design and color selections! Thanks! We needed a break from the ol' twisty road design. I'm not making it this round, but my old shirts are getting a big worn out. Put me down for a red tshirt and a hoodie. Both Large.